Osborne Bulls gets a chance to cement claims for the Rupert Clarke when he races at Moonee Valley. Osborne Bulls is building a formidable winning strike-rate and will be out to add to it when he races at Moonee Valley for the first time. 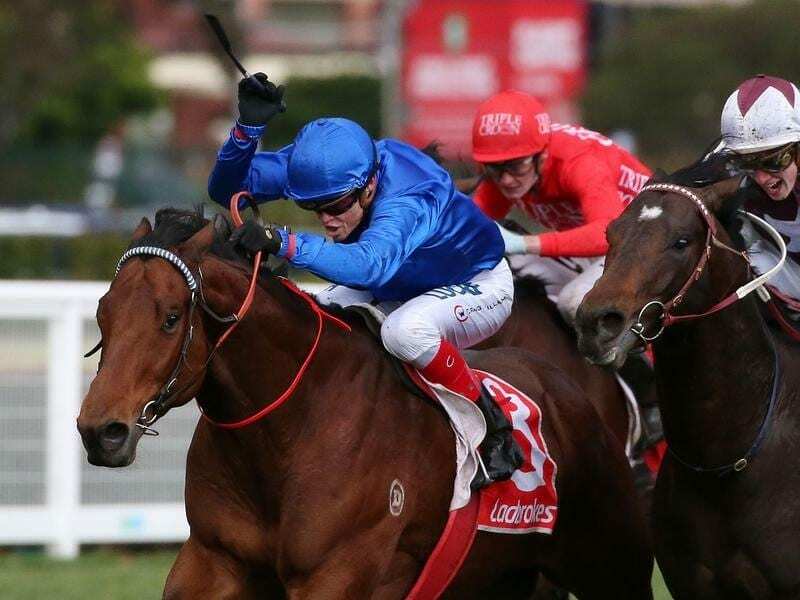 The Godolphin-owned, James Cummings-trained gelding took his record to eight wins from 11 starts in the Listed Regal Roller Stakes (1200m) at Caulfield on August 18, beating the Darren Weir-trained Land Of Plenty by a short half-head in his first start back from a spell. That pair looks set to clash again in Saturday’s Listed Chandler Macleod Stakes (1200m) which looms as another guide to the Group One Sir Rupert Clarke Stakes (1400m). The $500,000 Sir Rupert Clarke at Caulfield on September 22 is in Cummings’ plans for Osborne Bulls. “That’s a really nice race for him but we’ll get through Moonee Valley first,” Cummings said. “I think he should be acquitting himself well there and the Sir Rupert Clarke would be a wonderful target. Osborne Bulls has so far won two Listed races but is yet to be tested at the highest level. He was set for the Group One Stradbroke Handicap in June but failed to gain a start as an emergency. Cummings said the Chandler Macleod looked another suitable option for Osborne Bulls. “I think he’s come through his last run really nicely,” he said. The stable also has Home Of The Brave, Demerara and Jorda among the 26 nominations but they are also entered for races in Sydney on Saturday. Osborne Bulls is listed to gallop at Moonee Valley on Tuesday morning. Multiple Group One-winning stablemate Hartnell is also down to gallop at the course on Tuesday in preparation for Saturday’s Group Two Dato Tan Chin Nam Stakes (1600m).